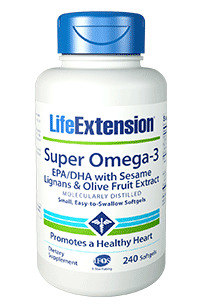 Customers please note that the 120 count option yields the same amount of EPA/DHA as the 240 count option. The 240 count softgels are smaller and easier to swallow, but you take more of them - 8 per day instead of 4 per day of the 120 count softgels. That is why they are the same price.